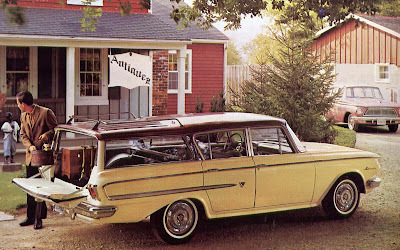 The 1962 Rambler Ambassador station wagon whispered elegance and class. Few cars have ever captured the nation’s imagination as the little Rambler did. Born of Nash and Hudson parentage, the stylish, thrifty compact car came from nowhere to shatter sales records month after month and year after year until the economy king jumped up to grab the Number Ten spot in domestic sales in 1961. It would do even better in 1962. Here at home, Rambler competed with Ford’s Falcon, Fairlane and Mercury’s Comet. GM Canada offered the Corvair and Chevy II as bowties and just to be on the safe side, introduced a Chevy II clone, called Acadian, for its Pontiac-Buick dealers. Domestic competition for Brampton's Ramblers included the 1962 Acadian, fielded by GM Canada. Chrysler trotted out the Valiant brand to replaced the failed DeSoto and in Hamilton, Studebaker launched its Lark. With a trio of compact cars in the market, GM Canada held a cool 36.9 percent of the economy car sales. Ford’s Falcon and Fairlane gave Oakville's blue oval 27.9 percent. Rambler grabbed an even 18 percent; Valiant took 10.7 percent and Studebaker’s Lark was sitting pretty with 6.5 percent. In addition to doing battle with domestic competition, Rambler duked it out that year with Volkswagen, Vauxhall and Envoy, Renault, a plethora of Austin models, British Ford, Morris, Morris Minor, MG, Volvo, Standard and Triumph, Mercedes-Benz, Hillman, Austin-Healey, Peugeot, Simca, Sunbeam, Wolseley and Riley, DKW, Datsun and a smattering of other imports. A handful of Datsuns was purchased by Canadians in 1962. Individual sales for most compact cars were small, but altogether they added up to 75,026 sales. By a seal’s whisker, nearly as many Canadians bought a set of pint-sized wheels as they did full-sized Chevs that year. 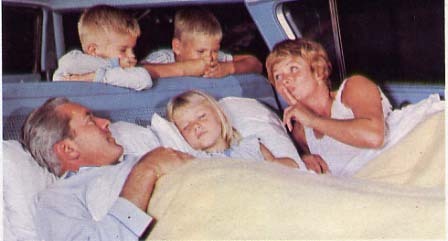 Airliner reclining seats turned every Rambler into a four-wheeled Hilton. Rambler’s Ambassador was new and smaller for 1962. In fact, it shared the exact same body shell as the Classic. In previous years, Rambler’s flagship had ridden a 2 917.8-millimetre (117-inch] wheelbase and was billed as “Ambassador by Rambler.” It was a small but subtle way of making the car appear a mite classier. 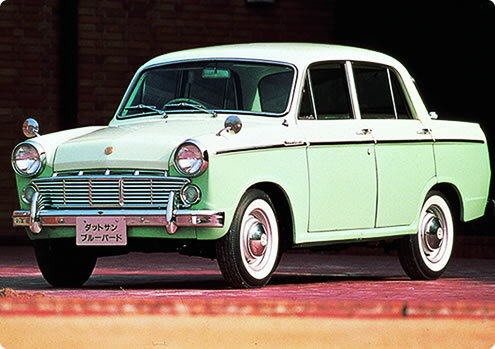 In 1962 it was clear that Ambassador was solidly popular and the distinction was no longer necessary. It was rechristened Rambler Ambassador. There were other differences that were small but important. 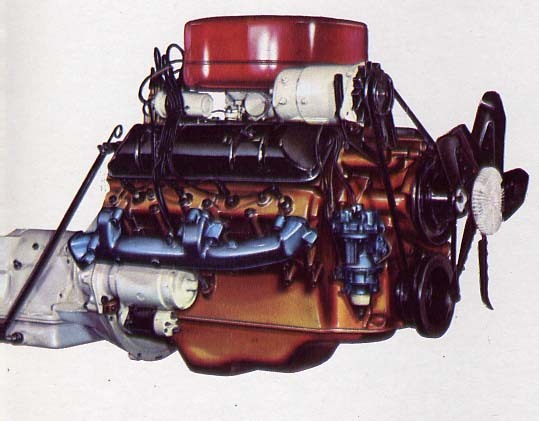 American Motors offered a 5.4-litre (327-cubic inch) V-8 engine of its own design but only in Ambassador models. The engine was designed by David Potter at Kaiser-Frazer. He brought the plans with him to AMC when K-F moved to Argentina. Ambassadors were blessed with American Motors’ ultra-modern 5.4-litre ( 327-cubic) inch V-8 engine, sumptuous interiors, nice touches like shag carpeting-an industry first-and enough other posh trim appointments inside and out to distinguish it easily from the six-cylinder Classic. Canadians liked Ambassador, 25 percent of all domestic Rambler sales for the year were for the ritzy and powerful, V-8 compact. 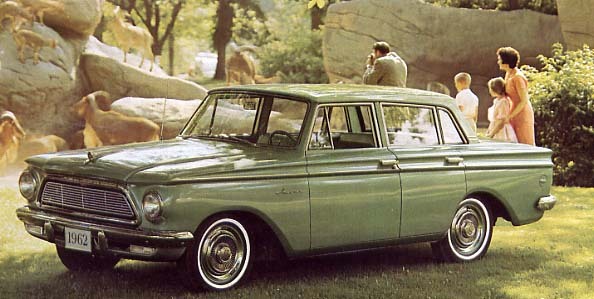 The Rambler Classic was a highly popular model in 1962. Classic was Rambler’s bread-and-butter car. Like Ambassador, it rode on a 2743.2-millimetre (108-inch) wheelbase. Without being a stripper, it promised hundreds of thousands of miles (ancient Canadian units of measure) of no-nonsense, six-cylinder transportation geared to the economy minded. Classic took the lion’s share of corporate sales because it was a low-cost, value-added car that delivered all that it promised and more. The four-door Rambler American sold for $2,480 f.o.b. Brampton, Ontario. Initially the compact was to be sold in Canada as the Rambler 100, according to Vince Geraci who was a designer for AMC. Even smaller than Ambassador and Classic was the Rambler American. The 2 540-millimetre (100-inch) wheelbase made the American fun to drive. It came in five lively models, including a hot little ragtop version. The styling--by Edmund Anderson--was so crisp it was almost impossible to believe that the basic shell had been around since 1950. In its final year, the Metropolitan carried a price tag of $1,875. Only eight Mets were sold in Canada in 1962. This was the ninth and final year for the company to offer its captive import, the Metropolitan. Sourced from Austin in Longbridge, England, the bite-sized British-built car arrived on showroom floors as a two-door hardtop coupe or a convertible. Small did not mean cheap at American Motors. The cars bristled with innovation and thoughtful touches. Every Rambler came with a Double-Safety Brake System: two completely separate sets of brake lines guaranteed a sure stop. It was such an important feature that the Ministry of Transport would make it mandatory on all 1967 automobiles. 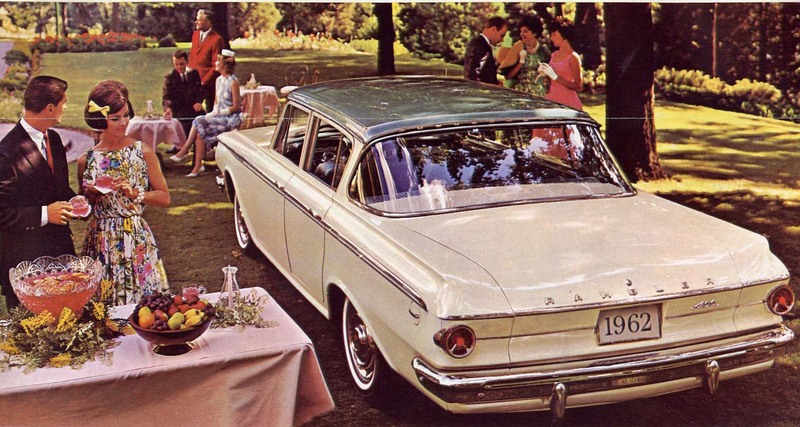 Each Rambler was dressed in an acoustical ceiling liner that absorbed 30 percent more road noise than other cars. The ceramic-coated muffler and tailpipe were guaranteed “for as long as you own your new Rambler.” The oil needed changing only once every 6 400 kilometres (4,000 miles) and an oil filter was fitted as standard equipment. These cars not only came with their famed Airliner seats that made into comfy and practical beds, orthopaedic doctors had designed the front seat supports so that passengers would benefit from maximum comfort and experience minimum fatigue even on long trips. Extra cost bucket seats reclined too, turning into “Nap Couches.” Headrests were optional, though legislation in some provinces viewed them as comfort items rather than safety features and did not allow them to be installed on the driver’s side of the vehicle. The new factory in Brampton, Ontario had only opened officially in January of 1961. It hummed along, already strained to capacity, its workers churning out ninety cars a day. Station wagons and the Americans were imported but that was temporary situation. Busy as beavers with plant expansion, by the time the 1963 model year rolled around Americans would be home grown, too. Model year sales were ranked by the automakers and published in Canadian Automotive Trade. The picture looked like this in 1962: The most popular car sold in Canada was Pontiac with 79,834 sales. Number Two was the full-sized Chevrolet (GM listed Corvair and Chevy II as separate makes) with 76,659 sales. Full-sized Fords filled the Number Three spot with 31,229 sales. The stylish, new Ford Fairlane held down the fourth spot with 21,415 sales. West Germany’s Volkswagen owned the fifth spot with 20,733 sales. 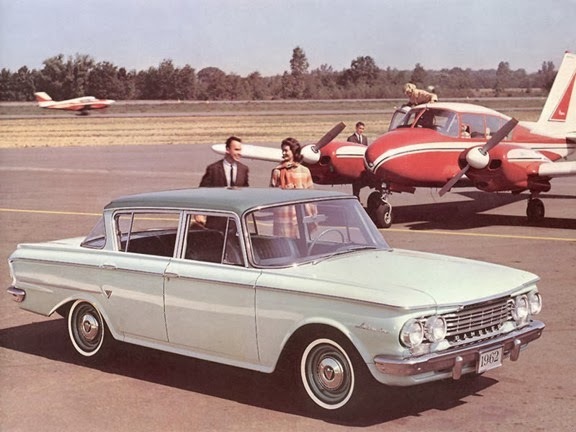 Rambler leaped from tenth to sixth place with 20,229 sales; Chevrolet’s new entry, the Chevy II started in seventh place with an impressive 17,514 sales; the Ford Falcon dropped from fifth spot to settle in at the number eight spot with 15,911 sales. 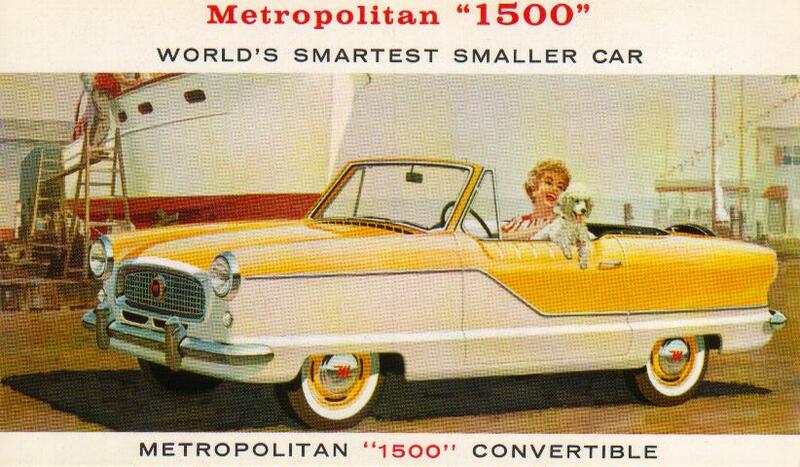 The full-sized Mercury Meteor held down ninth place with 15,831 sales. With 15,382 units sold, the Number Ten spot belonged to Valiant.